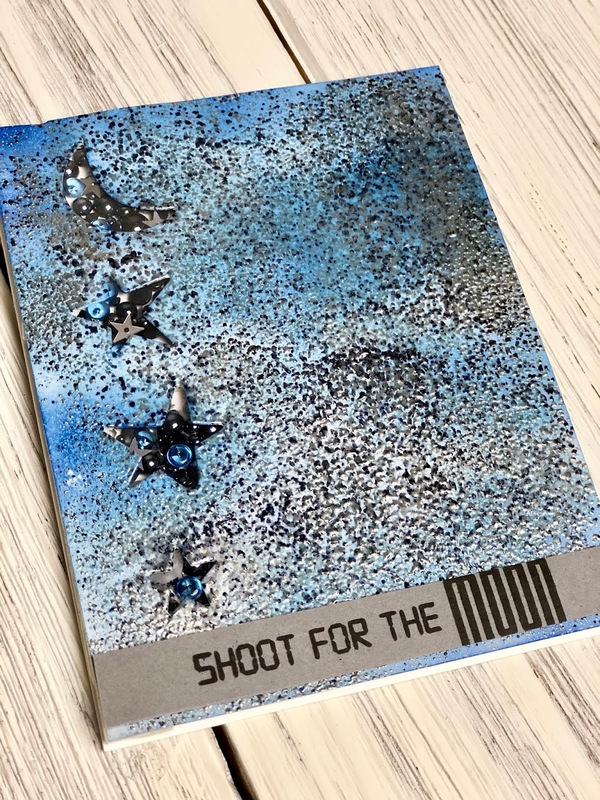 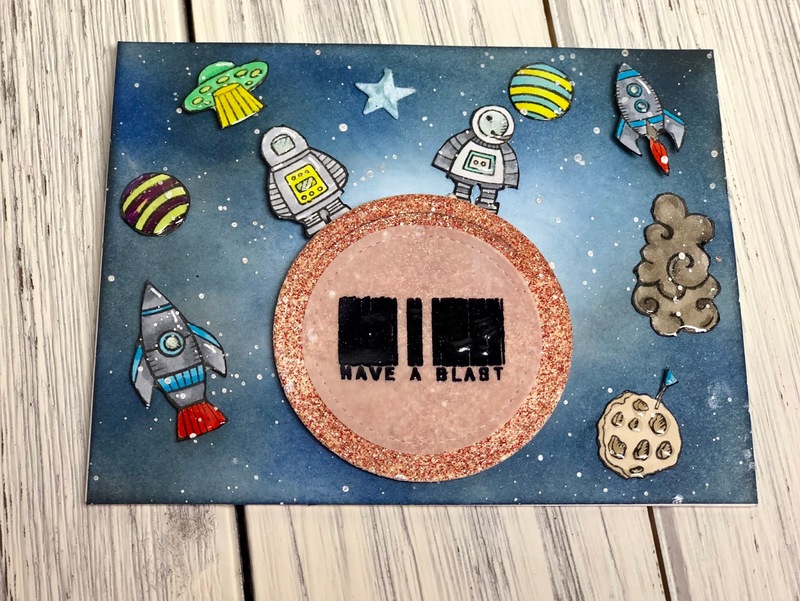 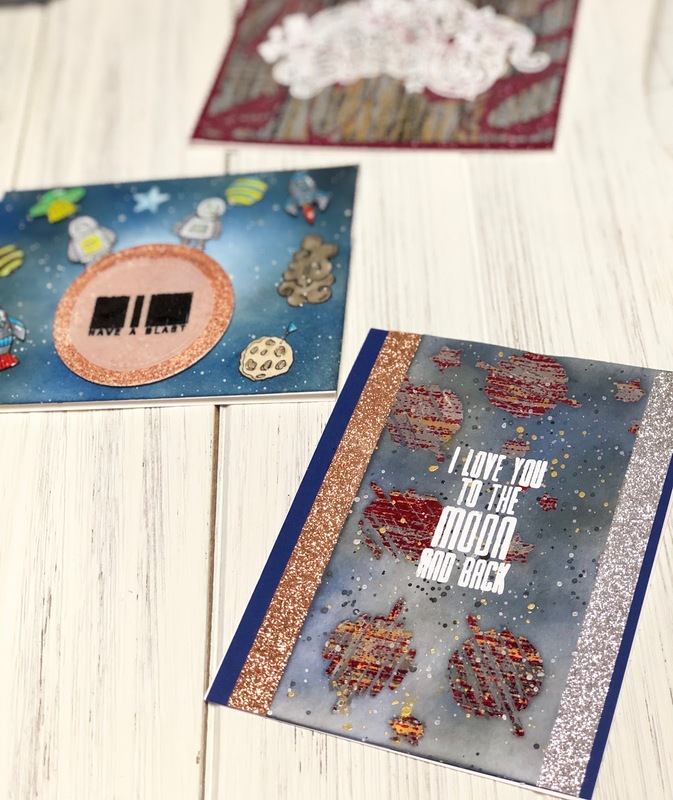 CREATIVITY BY HEATHER B E: Brutus Monroe July 2018 5 Cards 1 Kit- Blast off! 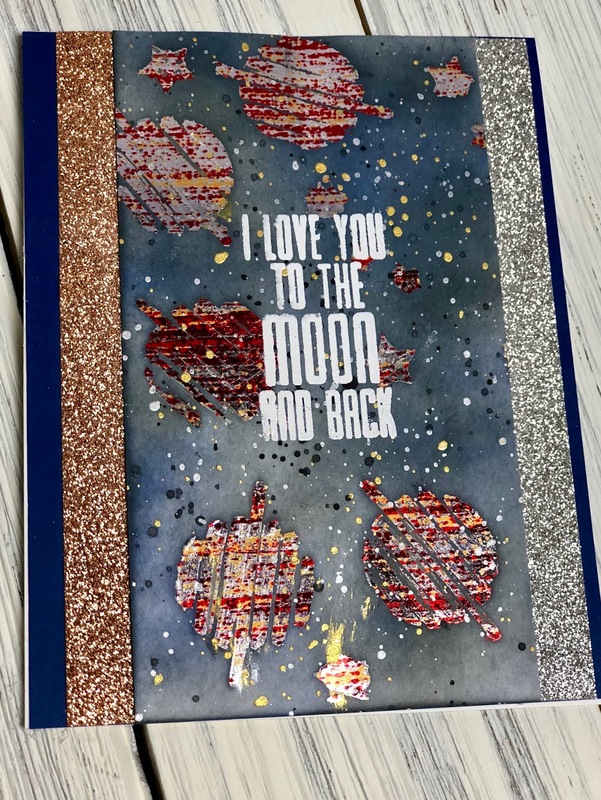 Brutus Monroe July 2018 5 Cards 1 Kit- Blast off! 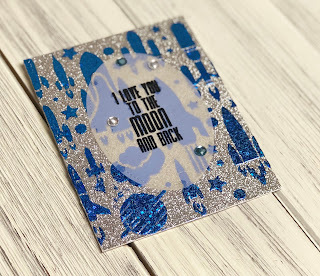 Oh my did I have fun creating with this inspiration box from Brutus Monroe. 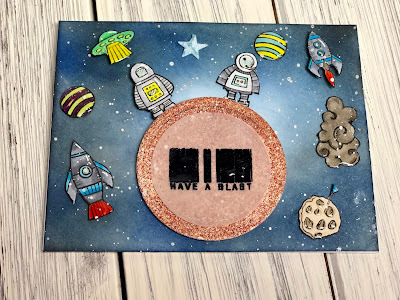 Space is the theme the July Out of this World kit. I used the products from the box along with the new Brutus Monroe Decofoil line along with the new Brutus Monroe glitter glaze. 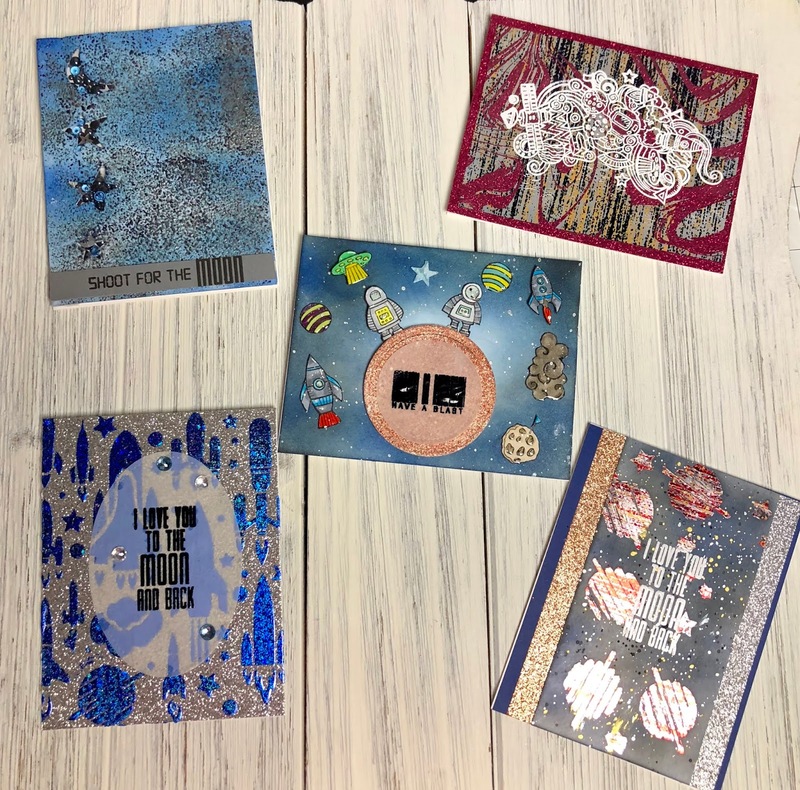 You can purchase most of the products in the box individually HERE. 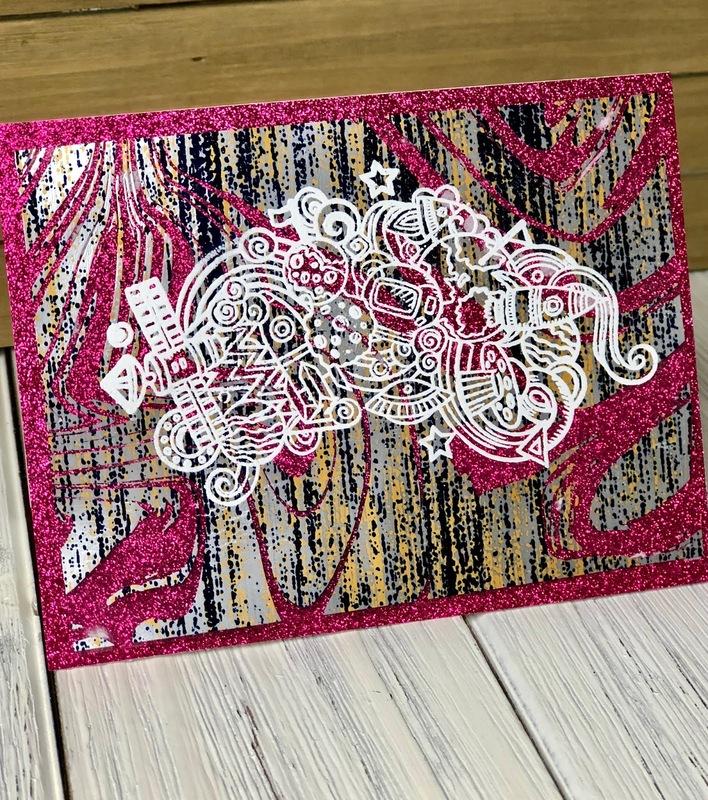 All products used are listed below if you would like to subscribe to the Brutus Monroe Inspiration Box click HERE. 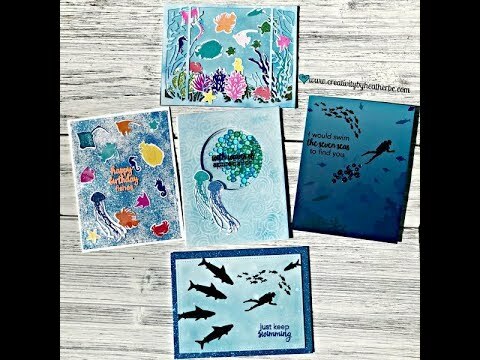 Once you become a subscriber you will also receive 15% off everyday purchases. 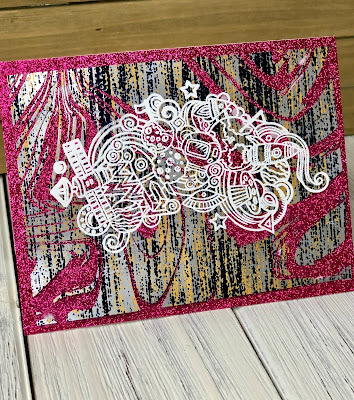 You can cancel at anytime.